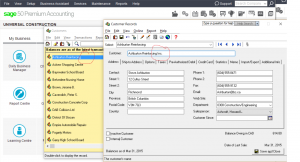 this tutorial is how to combine or merge two customers together. if you have created a customer by name of Ben and again by name of Benoit but they are same company you can do the following. Where I have circled red is where the change is. for the current customer in yellow field I do not have Inc. at the end of the name but I add it to the Customer section of the name. No call up customer Benoit and after the name add (Do Not Use) use Ben. Now you have separated the customers. 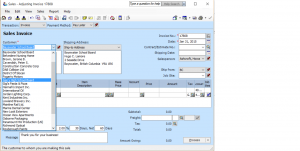 you can transfer invoices from one to the other. open the Receipts |Journal and click on the invoice you need to transfer. From here click on the red pen. hover your mouse over it and it will say adjust invoice. 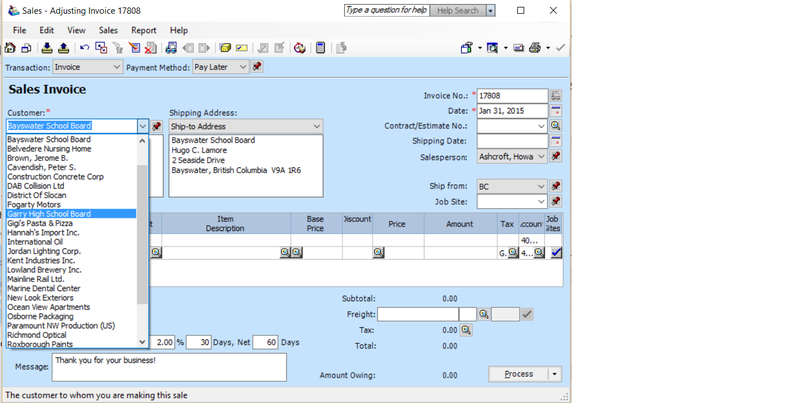 this will release the invoice and allow you to make changes. drop down the customer name and choose the one you need. 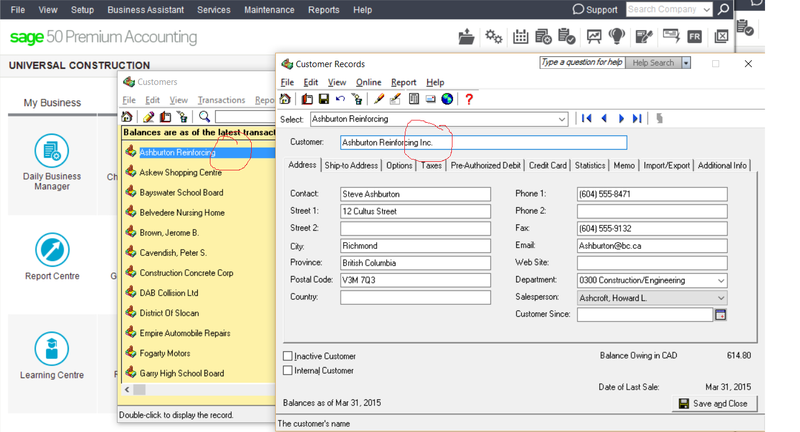 Now you have organized your customer list and moved all invoices over to the correct customer. Leave me a note or if you have another question let me know.